The first time I came across couscous was as a child, whilst on a family holiday in Morocco. I remember seeing a group of locals sitting barefoot on the floor around a huge pot of steaming couscous placed in the middle of a low table. It looked very different to the way we ate at home, as instead of cutlery they casually used their hands to pick handfuls of couscous,meat and vegetables and then rolled them into a ball which they popped into their mouths. There was a relaxed atmosphere which seemed a more enjoyable way of eating than having to sit up straight on a hard chair, juggling a knife and fork, at a table that was way too high! Last week I came across a new “giant” version which was much rounder and smoother than the more common variety and when cooked, looked more like pearls than grains. 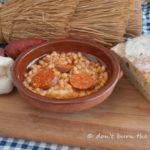 It’s similar to Sardinian fregola and is delicious as it has been pre-toasted. I came up with the following quick dish using roasted peppers and a few store cupboard standbys like artichoke antipasto and sundried tomatoes for a delicious blend of flavours and colours. Cut the peppers into strips after removing the seeds, toss in olive oil and sea salt and place under hot grill or on a griddle and cook until slightly charred. Fry the couscous in a little olive oil until golden brown, before covering with vegetable stock and cooking for about 15 minutes. I usually go adding the stock slowly so you may find that you do not need to use all of it. 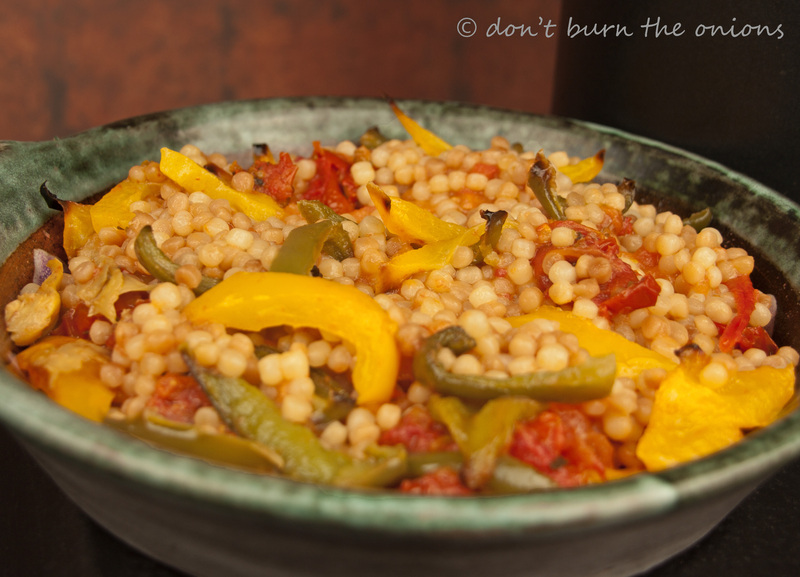 Once stock absorbed and couscous is tender, stir in the yellow and green peppers. 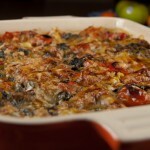 Add a couple of tablespoons of sun-dried tomatoes and artichoke antipasto for extra zing and serve. Although the origins of couscous can be traced back hundreds of years to the 15th century,couscous has not enjoyed the same widespread popularity as pasta. 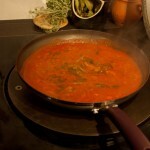 It is still mainly associated with North African and Middle Eastern cooking and traditionally made by women. As couscous is bland in flavour, it can be used in savory and sweet dishes and works well with dried fruits and nuts. The traditional process is a slow one involving hand-rolling the semolina flour and water into even sized grains and steaming in special pots called “couscousiers.” Recently however food manufacturers have responded to the growing demand for ethnic foods by producing pre-steamed, quick cook varieties in factories. low in saturated fat, cholesterol and a good source of selenium. great for weight watchers as it is low in calories having only around 100 calories per 100 gms but filling- so you feel satisfied for longer. quicker to prepare or cook than pasta or potatoes. Food writer Nigel Slater recommends adding couscous to the juices that collect in the base of the pan after roasting a chicken, as the couscous will cook in those wonderful flavours. Take 400g semolina, rinse and drain. Place in a bowl adding a tablespoon of olive oil and pinch of salt. Stir and leave to rest for half an hour. Sieve or sift the grains to get rid of any excess semolina and uneven grains. Steam couscous in a traditional couscousier or steamer with fine mesh. Alternatively steam in a sieve over a pan of boiling water, adding a little butter and occasionally stir with a fork to separate grains. Do not cover couscous while steaming as this will make the couscous soggy. Cook until grains are fluffy. © Suzette McDaniel Don’t Burn The Onions) Unauthorized use and /or duplication of this material without express written consent from this blog’s author/and or owner is strictly prohibited. This entry was posted in All Recipes, Grains, Pulses & Pasta and tagged budget, cooking on a shoestring, family, Food blog, healthy, Mediterranean diet, peppers, vegetarian by dontburntheonions. Bookmark the permalink. I love anything with peppers in it and it’s so long since I cooked some couscous. I think it’s high time I tried cooking some again. Thanks for stopping by and have a wonderful weekend. Like the idea of steaming in a sieve over a pan of boiling water, you know what let me just bookmark the page. Thanks for sharing couscous skills, am not very good at couscous!!! In America, we call this type of couscous Israeli Couscous. Or at least that seems to be the most common name. It’s available in more and more markets, especially those that tend to cater to more natural food buyers. Lovely product when cooked with a broth and served with mounds of delicious roasted veggies piled around it, or as an accompaniment to a pan sautéed meat to soak up the lovely juices.